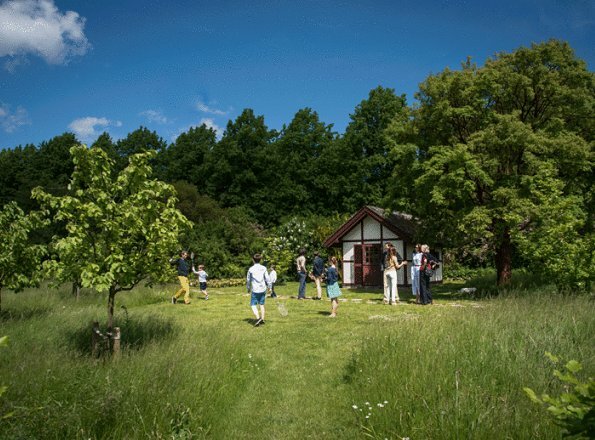 On 10 June, Queen Margrethe and Prince Henrik will celebrate their 50th wedding anniversary. 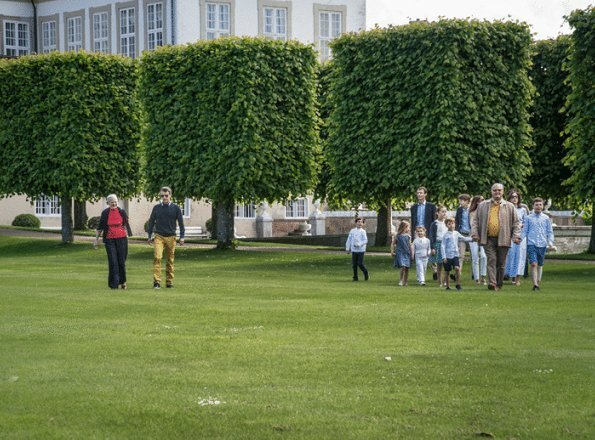 Today, Queen Margrethe and Prince Henrik celebrated their coming gold wedding anniversary at Fredensborg Castle, with their family members. 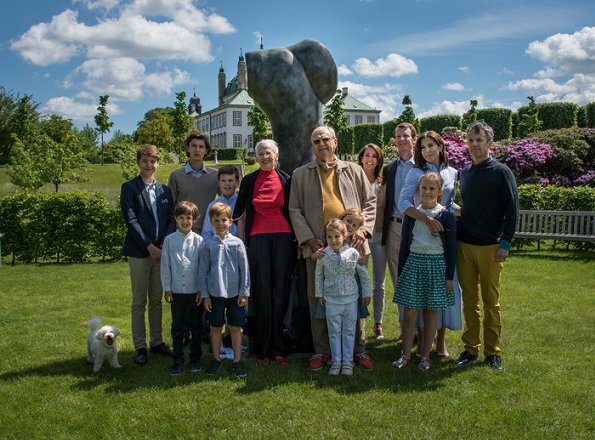 Danish Royal Palace published a series of photos on the occasion of that anniversary. I dont get the statute but happy family times. Everyone looks very genuine. Mary's outfit a bit disappointing however it looks comfortable. Lovely and relaxed family pictures. Josephine and Athena seem to be very close little friends. Remember them at the balcony at their grandmother's birthday? 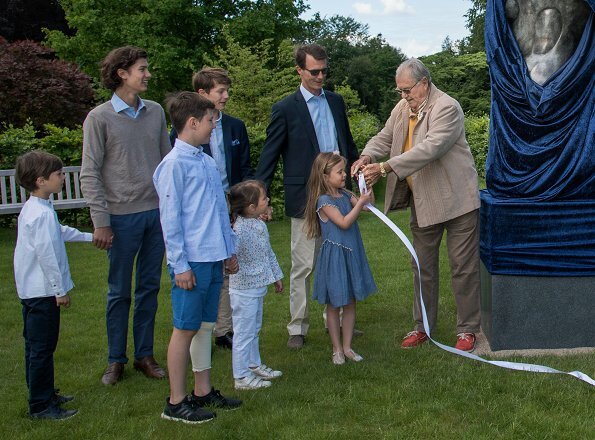 I love Henrik as a grandfather and Joachim's eldest son holding his little brother by the hand. 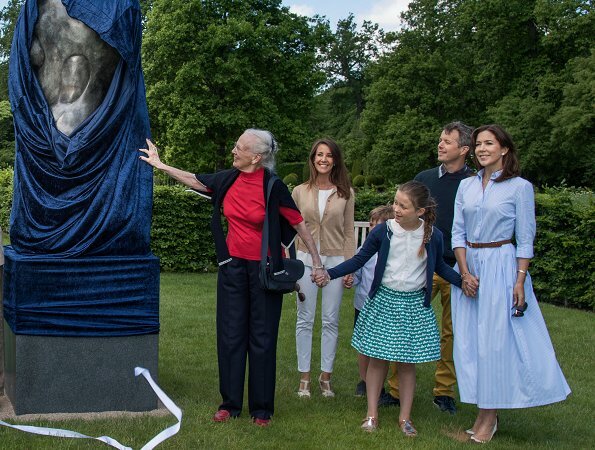 La robe de Mary est dans le style de robes que portait beaucoup la reine Margrethe,coton léger à rayures,estival. Well, a lot of physicians smoke. "It's only herb!" I like Mary's dress - classic! I agree! A classic and beautiful summerdress. Happy anniversary to this wonderful Queen and her prince! Only 2 sons, but now a large family with many grandchildren. Lovely family pictures. 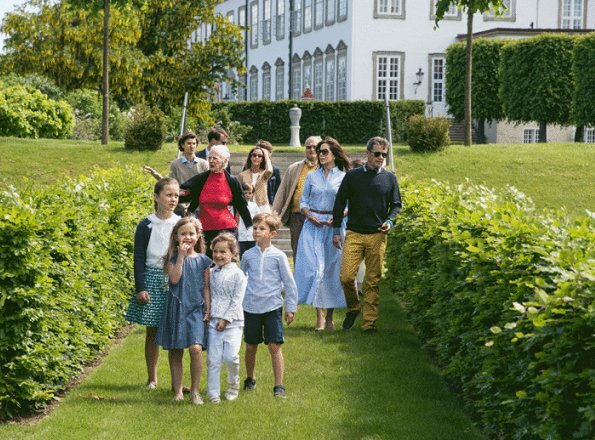 What beautiful photos of this Royal Family and all the grand children are included and not only selective ones like the Swedish family.